The leading Chinese mobile company, Xiaomi, has planned several releases this year by launching its products back to back. The company has unveiled the name of its new phablet as Xiaomi Max. A few months back, Xiaomi launched two smartphones namely Xiaomi 5 and Xiaomi Redmi 3 Pro. After selling about 70 million devices last year, the company is on fire to expand and establish itself as one of the major mobile phone manufacturers in the world. Xiaomi has conducted an online survey asking the public to suggest a name for its new phablet. It received several suggestions such as Xiaomi Big, Xiaomi Plus and Xiaomi Pro. But the name Max got more than 50% of the votes and the company has finally named it as Xiaomi Max. With several speculations about the release of Mi Note 2 in 2016, the company has so far not opened up about its launch. Meanwhile, Xiaomi has offered much sweeter news by revealing about its new phablet. Though the company has not revealed anything about Xiaomi Max officially, there are rumors pertaining to its size and other features. The device is said to be the largest phablet ever made by the company till date and will have a 6.4-inch display, a metal body, a Qualcomm Snapdragon 820 quad-core chipset and a fingerprint scanner. Some speculate that if Xiaomi’s largest device with a display of 6.4 inches is launched, then the company may soon start developing similar bigger screen devices. 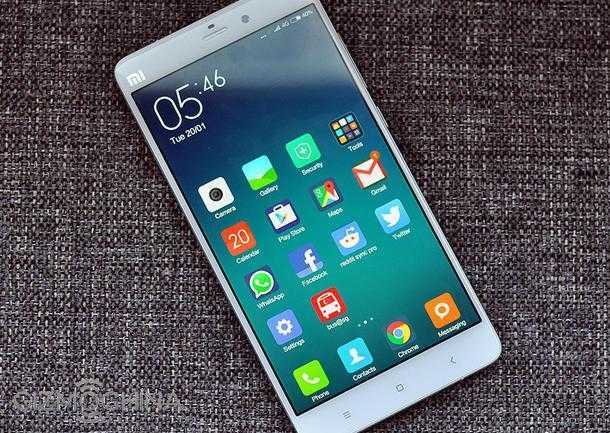 Xiaomi has confirmed that it is working on its phablet and may launch it anytime soon. In January 2015, Xiaomi introduced its first ever Mi Note Phablet and now many of its users are anticipating the release of the newer version of Mi Note. It was expected to hit the markets in the first quarter of this year but the company has only unveiled the name of its new phablet, which raises concern about the release of Mi Note 2. A recent report by a china-based analyst, Kevin Wang, shows that Mi Note 2 might be launched in the second half of the year while Xiaomi Max may overtake it by releasing at the end of June. Still, everything about the phablets is skeptical as long as the mobile giant confirms it officially. So Xiaomi lovers just keep your fingers crossed and wait for your favorite devices to hit the markets soon.